John Bartlett is a New York fashion designer with not one but two Council of Fashion Designers of America awards under his belt, along with such titles as Swarovski Best Newcomer and the American Apparel and Footwear Association Designer of the Year. 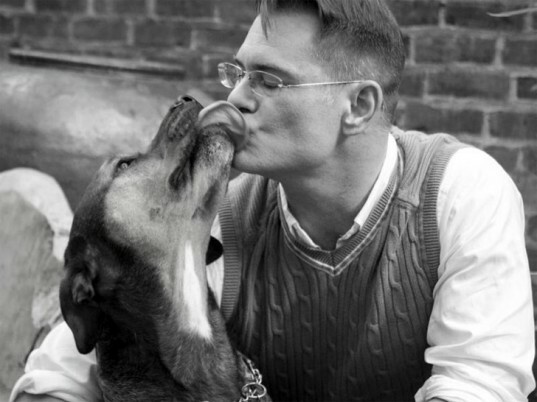 Equally known for his love of animals and yen for classic American sportswear, Bartlett has worked alongside animal-rights organizations like the Humane Society of the United States and the North Shore Animal League to spread awareness about the welfare of our critter pals. We recently caught up with the designer to talk about the looks he showcased at the Healthy Food in Fashion fall gala, why he chose to embrace vegan fashion, and his new “Tiny Tim” collection, a series of comfy basics for men, women, and children that donates 10 percent of each sale to helping shelter dogs like Bartlett’s three-legged best friend (and the line’s namesake). Tell us about the looks you showed at the Healthy Food in Fashion gala and what inspired them. The looks were inspired by a convergence of rugged American masculinity and classic American tailoring. I guess these terms have become pretty synonymous with the “John Bartlett” design aesthetic, which I love. Unfortunately, they also usually evoke images of clothing made of leather, suede, shearling, wool, and fur. I selected these looks because they really demonstrate that it’s possible to find clothing that is timeless, luxurious, and totally masculine yet made out of cruelty-free, eco-friendly materials. It’s possible to find clothing that is timeless, luxurious, and totally masculine yet made out of cruelty-free, eco-friendly materials. What made you decide to take your line in a cruelty-free direction? I’ve always cared deeply about the welfare of animals and taking my brand in a cruelty-free direction has been something I’ve wanted to do for a while. But working in fashion, you form this disconnect between fur and leather as luxury materials, and the fact that at one point it was a living, breathing creature. It really wasn’t until a few years ago when I started seeing an overwhelming abundance of fur on the runways that the fog sort of cleared and I realized how truly disgusting and inhumane using animal products really is. It was the best, most important, and simplest choice I’ve ever made. What are some of the challenges you’ve faced since that decision? I would say the most interesting but challenging part has been finding high-quality alternatives to traditionally animal-based materials. The exciting part though is once you know what to look for and you start to realize how many amazing options exist. Being a “cruelty free”designer should never limit or restrict your designs. What are your tips for aspiring designers who want to make cruelty-free clothes? Being a “cruelty free” designer should never limit or restrict your designs. Trust me, there is definitely a high-quality faux, synthetic or alternative available. You just have to look. I make a kale salad that’s really fantastic. I massage avocados onto the kale leaves, toss in some black olives, diced tomatoes, and some apples. So, so good. My husband and I are thinking of opening our own fashion forward cruelty-free boutique. The only problem we are running in to is that we are having a hard time finding any whole sale retailers that carry cruelty-free items that can compete with in demand designers. We are wanting a boutique with apparel and accessories that can compete with designers such as: BCBG, Cynthia Rowley, Jessica Simpson, Michael Kors, and Coach. Any suggestions???? 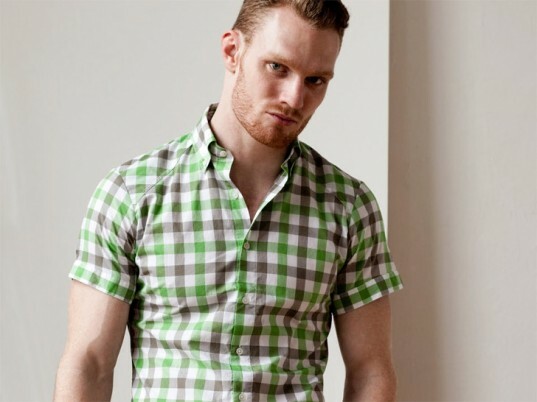 John Bartlett is a New York fashion designer with not one but two Council of Fashion Designers of America awards under his belt, along with such titles as Swarovski Best Newcomer and the American Apparel and Footwear Association Designer of the Year. 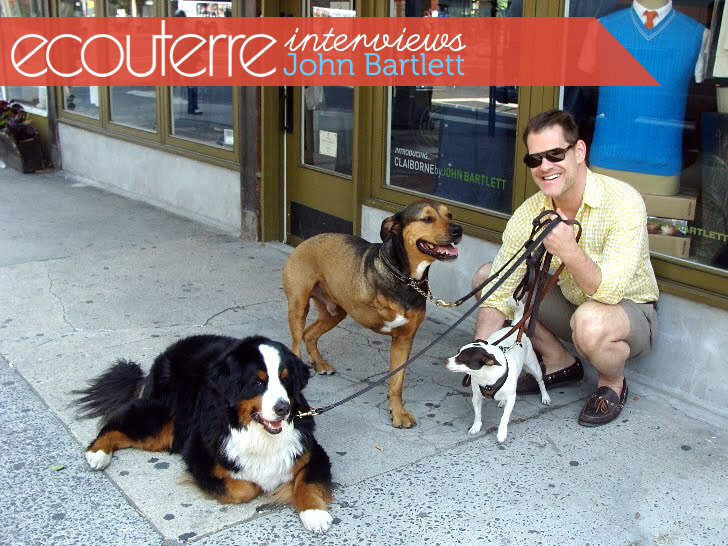 Equally known for his love of animals and yen for classic American sportswear, Bartlett has worked alongside animal-rights organizations like the Humane Society of the United States and the North Shore Animal League to spread awareness about the welfare of our critter pals. We recently caught up with the designer to talk about the looks he showcased at the Healthy Food in Fashion fall gala, why he chose to embrace vegan fashion, and his new "Tiny Tim" collection, a series of comfy basics for men, women, and children that donates 10 percent of each sale to helping shelter dogs like Bartlett's three-legged best friend (and the line's namesake).